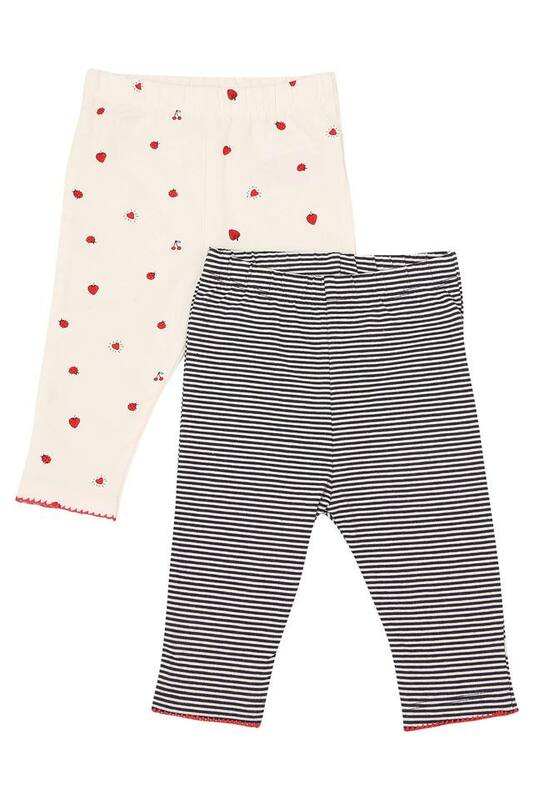 Boost the closet of your kid with this pack of two pairs of leggings from the house of Mothercare. Tailored with premium quality fabric, it will ensure that your child stays comfortable throughout the day. Besides, the print and stripe patterns will make them look fashionable. Also, the elastic waistband ensures a proper fit. Let your little one wear these pair of leggings and stay comfortable all day long. Available in a pack of two, these can be teamed with a T-Shirt and slippers for a casual outing.